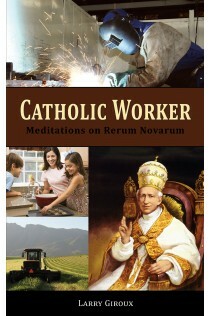 Catholic Worker features 60 short meditations on the meaning and sanctification of work. Each meditation includes passages from the Bible, the Catechism of the Catholic Church, and papal teaching. Catholic Worker relies heavily on Pope Leo's pivotal encyclical letter, Rerum Novarum. Catholic Worker features 60 short meditations on the meaning and sanctification of work. Each meditation includes passages from the Bible, the Catechism of the Catholic Church, and papal teaching. Catholic Worker relies heavily on Pope Leo's pivotal encyclical letter, Rerum Novarum. Selected passages from the encyclical are presented in an easy-to-digest format, providing guidance and inspiration for anyone who labors for his daily bread. Throughout this concise book, the author directs the reader to find Christ in the workplace: not only to attain sanctity, but to sanctify colleagues as well.